You are here: Home / Campaigns / Have you tried Udi’s Gluten Free Products? 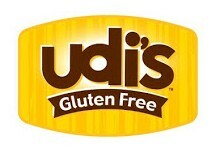 Have you tried Udi’s Gluten Free Products? Note: I participated in this program on behalf of Udi’s and The Motherhood. All opinions are my own. I’m not gluten free, but I tried it for a month last year. I think the only reason I had relative success with it was because I was doing Shaklee which is gluten free for two meals a day and then only had to think about one meal a day to keep gluten free. I remember going to Red Lobster while eating gluten free and their menu had maybe 5 items that were gluten free and none of them that I would eat. I wish I had known about Udi’s back then! Soft Baked Salted Caramel Cashew Cookies- not bad. They filled me up and I only had one. The reminded me of store bought chewy chocolate chip cookies and there’s something about those I just don’t like. Dark Chocolate Brownie Bites- I was scared to try these because I don’t like dark chocolate. Thank goodness they weren’t too dark for me! I really liked the flavor! Soft and Chewy Snickerdoodle Cookies- I had to close these up and put them away right away… or I would have eaten the entire container myself! SO GOOD! Double Vanilla Muffins- Someone mentioned on the conference call I was on about Udi’s that people will sometimes put frosting on these muffins and treat them as cupcakes for kids that are gluten free to enjoy at a party. I think that would be a great way to eat these, otherwise they need just a tad more flavor. Active Antioxidant Blueberry Cashew Granola Clusters- I only reached in the bag to sneak a taste since I wasn’t very hungry. I think it has a great flavor and I can’t wait to throw some of these clusters on top of some yogurt to enjoy! Aged Cheddar Ancient Grain Crisps- Good flavor! They are nice and crispy. They taste kind of like a flavored tortilla chip. Overall I have REALLY enjoyed the Udi’s products I’ve received and will share with you when I try more. The two breads I was given were not my style, but I’m going to use one of them to make a meatloaf tonight. I will be posting the recipe here within the next week or two so you can hear how we liked it and try it out for yourself! Wheat in general is a natural inflammatory so when you eat a ton of wheat, you may feel a little bit bloated, so any reduction in wheat will help alleviate those symptoms. We find that with a lot of people are sticking with the brand or eating gluten free just because they feel better. But if you have celiac disease, your body doesn’t have the ability to process gluten and you can’t actually absorb the nutrients. So that actually has very long term effects! Udi’s is a real solution for those who have celiac disease or gluten intolerance. You can find Udi’s at national grocery stores. Sometimes it is in the bakery, sometimes it is in the frozen food section, depending on the product. Use their website store locator to find which grocery stores are carrying your products. Are you gluten free or do you know someone that is? Definitely give Udi’s a try or tell them about Udi’s. They will wonder how they survived living gluten free before finding Udi’s! Oh, we love Udi’s and their snickerdoodles are the BEST! Their cookies are sinfully good, especially the Snickerdoodles. Oh, how I love their cookies. Did I mention that I love their cookies? Yes, yes I have. I like their muffins. They are tasty. Their loaves of bread are ridiculously small. I don’t think there is an excuse for this especially for how much they charge. Other GF brands aren’t that dinky. One my daughter likes is Scharr. She far prefers it to Udi’s. 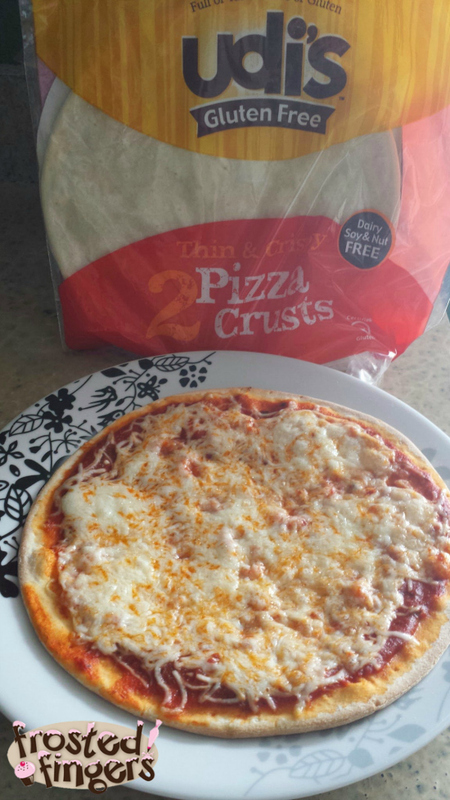 ooooh I didn’t know they had pizza crusts! I eat tons of Udi products. I love them and I’m not even 100% gluten free. The Aged Cheddar Ancient Grain Crisps sound like my kind of snack! They make the best blueberry muffins ever!! I haven’t tried a ton of other items. 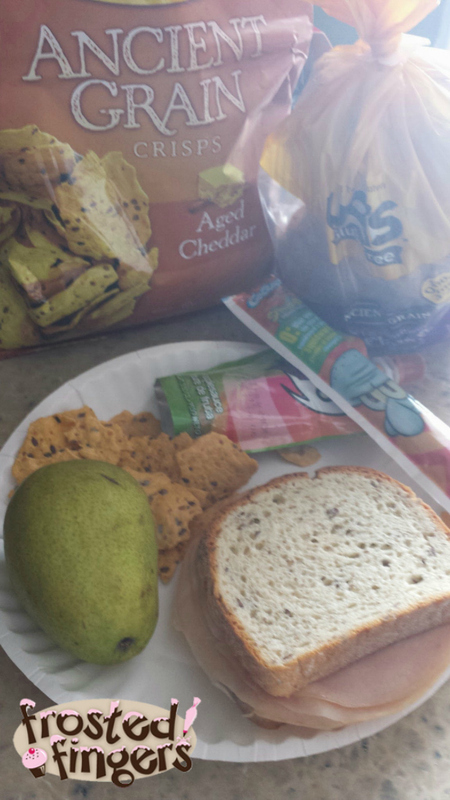 I prefer to eat gluten free items whenever possible, but have yet to try Udi’s. I think we will start with some cookies and the pizza crust. 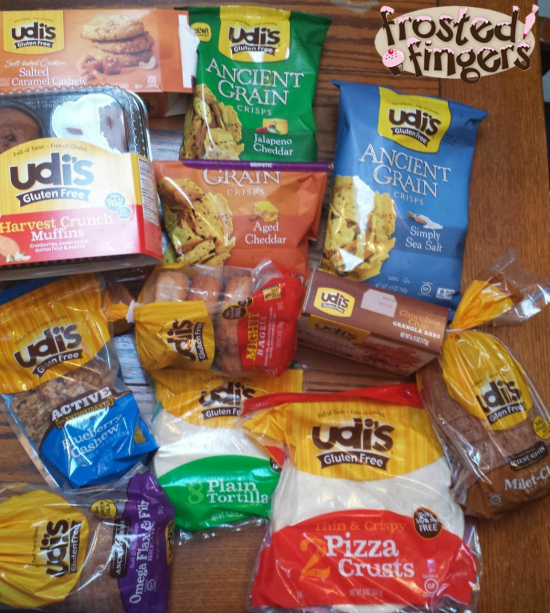 We love Udi’s, they are one of the better gluten free brands out there. Thanks for sharing about these products. My best friend and her daughter are coming down for Amber’s graduation and she eats gluten free, so I’ll look for some of these to pick up for her to eat while she’s here. We love the Udi’s Muffins and Bagels. They have great flavor and are very hearty. I’ve seen these before, but never tried them. I haven’t tried Udi’s products yet. I’ll have to check them out. Wow, so many offerings that are gluten-free.